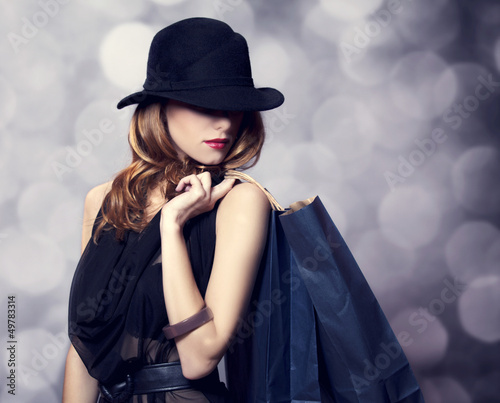 > Acrylic Prints>Redhead women with shopping bags on parisian background. 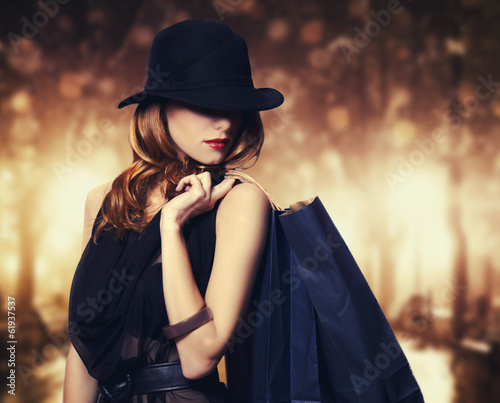 Redhead women with shopping bags on parisian background. 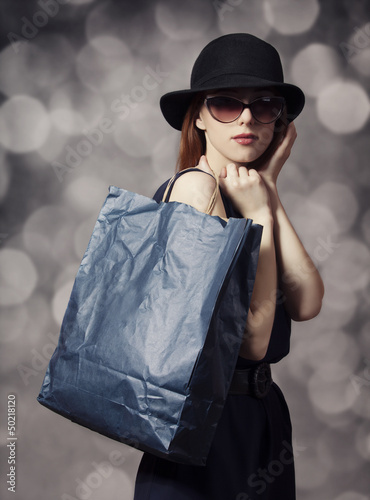 Style redhead girl with shopping bags. 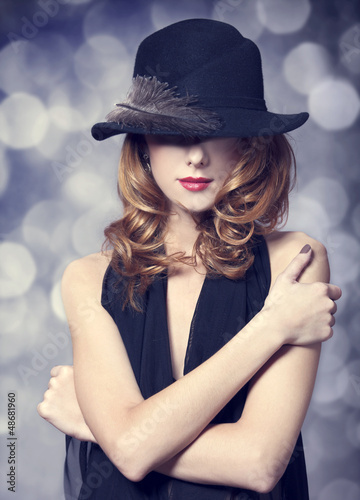 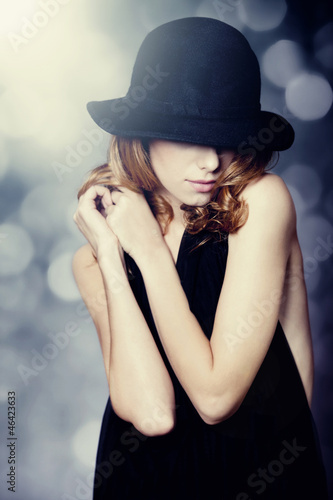 Portrait of beautiful redhead girl in hat.